Shimla: The Himachal government would provide all possible support to entrepreneurs interested to invest in the state, said Chief Minister Jai Ram Thakur while addressing the captains of the Industries, entrepreneurs and industrialists during the ‘Road Show-Business to Government’ held at Bengaluru today. 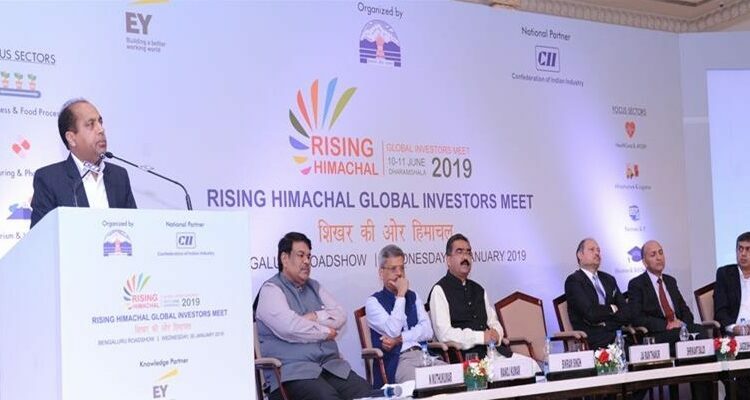 This event was organized by the State government in association with the Confederation of Indian Industries (CII) to showcase the immense investment potential in the state and invite the entrepreneurs to participate in the ‘Himachal Pradesh Global Investors Meet-2019’ slated to be held at Dharamshala on June 10 and 11. He said that the State has vast potential to invest in various sectors like tourism, electronics and information technology, education and skill development, urban development, real estate development, healthcare and Ayush, Manufacturing, pharmaceuticals, infrastructure and logistics, power and renewable energy, agro and food processing etc. Each of these sectors offers ample investment opportunities in the State. He said that the salubrious climatic condition and diverse natural settings make the state a best destination for investment in the tourism sector. 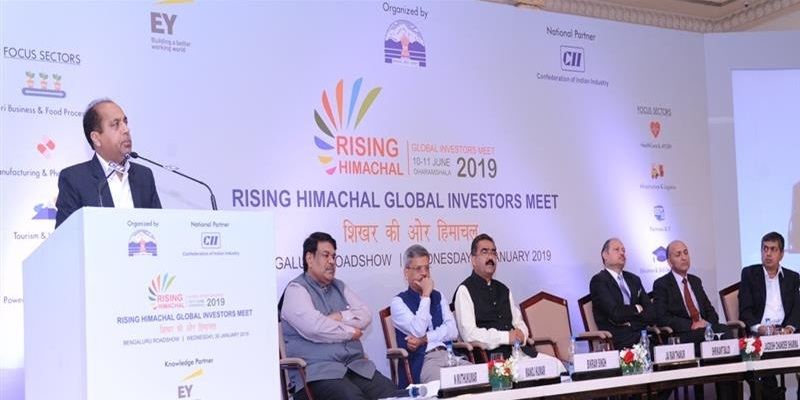 Jai Ram Thakur said Himachal Pradesh was emerging as the next big growth story of India, displaying a robust GSDP growth rate in the past years. He said that the State was not only a Dev Bhoomi, but also poised to emerge as the ‘Industrial Hub’ of the Country. He said that the State government has prepared industrial policy which aims to establish state-of-the-art infrastructure, promote manufacturing sector, enhance inclusivity, foster innovation and create employment opportunities across the sectors. The State government was also offering several incentives and concessions to the entrepreneurs, such as concession in stamp duty payable by industry, relaxed FAR norms reduced change of land use charges etc.